Happy hump day loves! 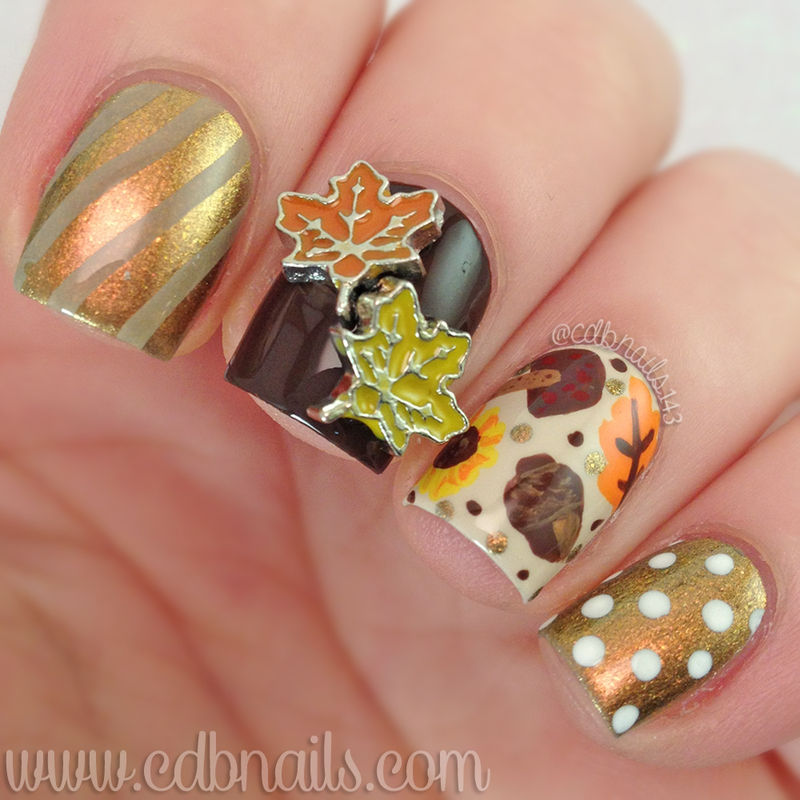 Today I have my Planner Mani Wednesday to share with you. Thankfully, I did these nails last week because yesterday morning I had to go to Urgent Care. The last few days I haven't been feeling right and in a lot of pain. I was put on some meds and hoping they kick in pretty quickly because I really want to enjoy Thanksgiving with my family. Plus if the meds don't work I have to go back for testing, which is no fun what so ever! ugh! This whole situation has thrown my anxiety into over drive. Not fun to have an anxiety disorder as well as a chronic illness that is going along with this new illness. Too much at once and my brain is going a hundred miles an hour :( I'm looking forward to spending time with family tomorrow and The Black Friday/Cyber Monday sale I'm having for CDB Lacquer, to hopefully keep my brain occupied. Sorry for the rambling, can you tell my anxiety is at a high peak?! lmao! Blah! Anyways, onto the nails! lol Stupidly, I totally forgot to take a pic of my nails with the planner so I had to quickly take a picture of it alone about 5min ago lol. 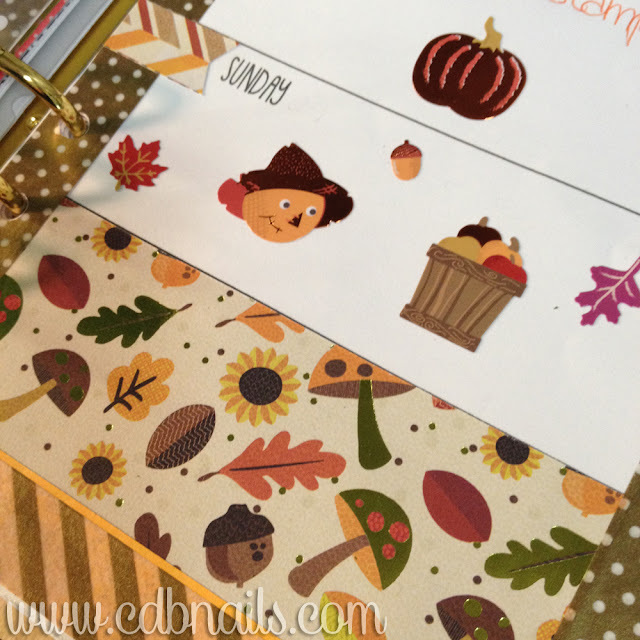 This weeks theme was simply Autumn, with some fall foliage, scarecrows and apples! I only had so much fall like decor to chose from so the colors are kind of similar to last weeks theme. ah well! 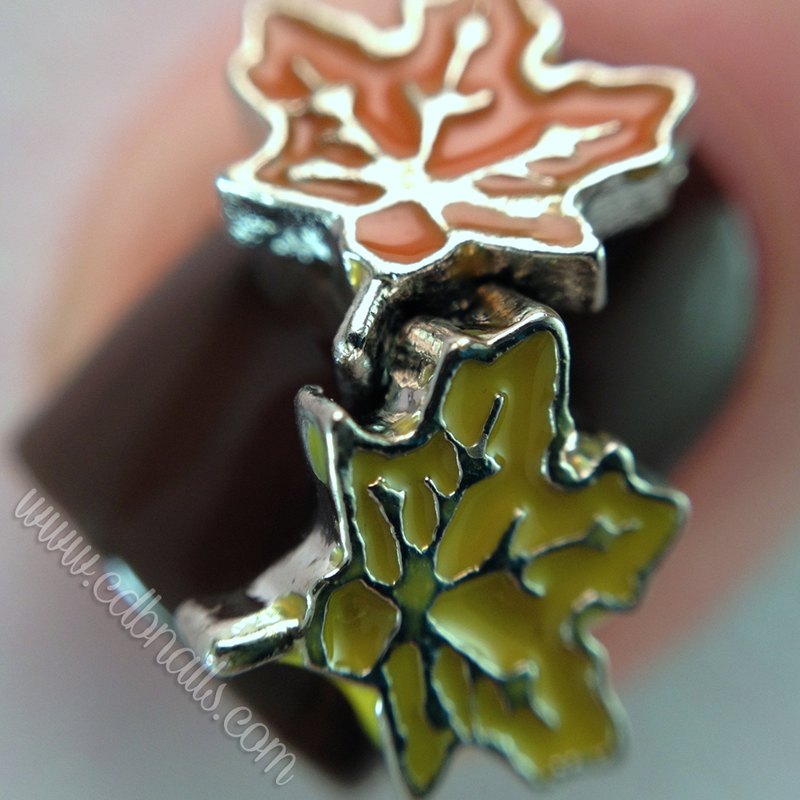 I had these super cute leave charms sent to me from Winstonia.com to review. Just like their other charms I shared with you recently, these applied really well and as you can see are pretty much small enough for me to use two on one nail! I loved them and they matched this weeks planner theme perfectly! You can get these in a set of 5 pieces that also comes with two other colored leaves and a pumpkin for $3.95. Use my code CDBNAILS for 10% off your order! Your planner is great and your nails go lovely with them as well! I hope you feel better very soon!